While much of the develop world is banning asbestos, demand for asbestos in many Asian countries is high, and Sri Lanka tops the charts of largest asbestos importers in the world per capita. Since the 1930s, asbestos's high potency for causing asbestos-related diseases (ARDs) has been well known. To mitigate the effects of ADRs like mesothelioma, lung, larynx, and ovarian cancer, at least 55 countries have banned asbestos. Yet, in Sri Lanka, where asbestos is used pervasively, no national health study has ever been conducted to measure potential health effects. The term ‘asbestos’ applies to six naturally occurring fibrous materials, of which, Sri Lanka imports only chrysotile asbestos, originally called ‘white asbestos’. The largest share of asbestos in Sri Lanka is used in roofing products, and about 80 percent of all roofing in the country is made with asbestos. Drew Brodkin, a physician and expert witness with 30 years’ experience in asbestos litigation, told the Daily News that the widespread use of asbestos roofing in Sri Lanka, “is really troubling from a public health perspective.” His sentiment was shared by international experts in the US, India, and Australia, whom the Daily News contacted: Dr. Richard Lemen, appointed to the Advisory Board on Radiation and Worker Health by former US President Barack Obama; Professor Ken Takahashi, Director of the Asbestos Diseases Research Institute at the University of Sydney; Dr. Tushar Joshi, Director of the Centre for Occupational and Environmental Health in Delhi; and Peter Tighe, Chief Executive Officer of the Asbestos Safety and Eradication Agency (ASEA) in Australia. Asbestos exposure refers to inhaling or, in rarer cases, swallowing asbestos. If asbestos is disturbed in any way - especially through renovations or deterioration - it can become airborne, generating a dust made of tiny floating particles. Ingesting airborne asbestos fibres dramatically increases a person’s risk of contracting ARDs. From 2000–2012, Sri Lanka’s annual chrysotile asbestos consumption increased by 251 percent. In 2014 alone, Sri Lanka consumed 10,000 tonnes more chrysotile than it had the year before. Sri Lanka is now the sixth-largest asbestos consumer in Asia, and the eighth-largest consumer in the world, and imports chrysotile asbestos from Russia and Kazakhstan. 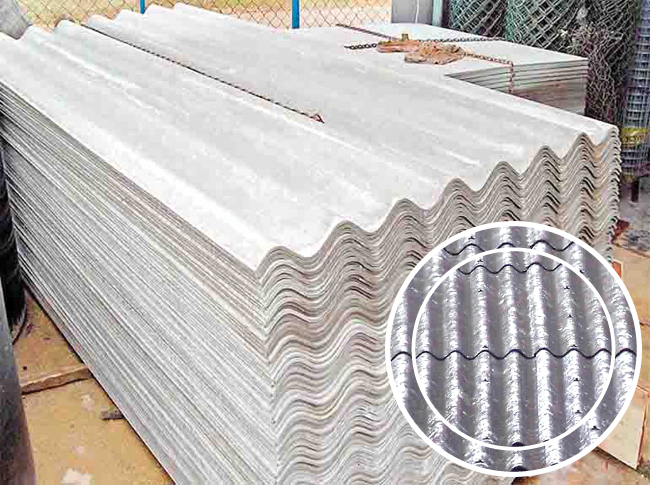 Asbestos roofing enjoys popularity in Sri Lanka partly because the material is durable, affordable, and readily available. Vice President of the National Trade Union Federation in Sri Lanka (NTUF), Velayutham Ruthiradeepan who helped organise a South Asia Asbestos Strategy Meeting in Negombo from July 10-11 this year, said that Sri Lanka’s asbestos consumption bucks global trends. Vietnam, Nepal, and China are transitioning away from asbestos. He mentioned the 55 countries that banned asbestos. For years, all forms of asbestos have been under the WHO’s Class I categorisation of carcinogens, which implies that asbestos cannot be used safely. Amarasinghe did not provide evidence to support the safety of chrysotile either. She noted that people do not have information about chrysotile asbestos. While NIOSH’s mandate is to promote awareness and provide occupational safety and health training, Amarasinghe said that such information is provided only upon request. Even with asbestos’ 60-year legacy in Sri Lanka, the FCPMA, NIOSH, and NTUF have differing understandings of how chrysotile asbestos is used. 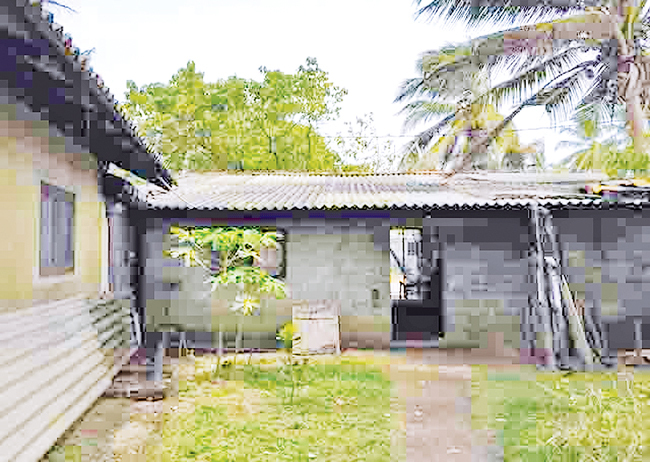 Edema claimed that 99 percent of the chrysotile asbestos imported to Sri Lanka is used for roofing and only one percent is used for jewellery making, while Amarasinghe and Ruthiradeepan said that chrysotile asbestos is used in brake pads, and insulation materials as well. “In terms of health effects, all types of asbestos are the same,” said Brodkin. Diseases caused by asbestos, including chrysotile, claim the lives of well over 100,000 people a year. When considering a more liberal view of asbestos–disease association, the global death toll may reach 200,000 annually. Those at risk of asbestos exposure are not just miners and factory workers, but also end-users. End-users of roofing products can be those who fit or cut asbestos sheeting to assemble a roof. “That certainly results in significant asbestos exposure that increases risk of diseases. Roofers have about a 10-fold increase for scarring in their lungs,” said Brodkin. Peter Tighe, of the ASEA in Australia, identified end-users as anyone exposed to asbestos fibres indirectly. In Austrailia, he said, “we have wives of asbestos plant workers who have died of Asbestos-related diseases from laundering their clothing.” In Brazil, mesothelioma has been contracted by merely painting asbestos roofing. Since the total ban on asbestos in Australia in 2003, the government has gone to great lengths to dispose of their asbestos materials. “The only way you can destroy asbestos fibres is with high intensity incineration to 1012 degrees Celsius,” said Tighe. Because incineration is so expensive, the only practical way to dispose of asbestos is to bury it. “You can grow grass on top of it, but you can’t build on top of it, so that the buried asbestos is not disturbed. It can be suitably used for general space or parks, but no building or agricultural work.” In Australia, chickens are not allowed to graze on such areas. December 2015, Sri Lanka’s Chamber of Construction Industry held a seminar at the Taj Samudra in Colombo, and found that “there is no clear evidence that the use of chrysotile fibres in the production of asbestos roofing sheets will cause cancer or other serious health risks.” At the conference, a US-born Switzerland-based scientist, Dr. David Bernstein promoted his theory of ‘biopersistence’, saying that chrysotile asbestos, unlike all other forms of asbestos, is safe to use. Chrysotile advocates commonly employ biopersistence to defend their commercial interests. In essence, they state that chrysotile asbestos is more easily removed from the lungs than other types and is less toxic to human health. However, according to Professor Takahashi, this school of thought has not been proven based on a range of contradictory evidence including pathological and epidemiological findings: chrysotile fibres are actually translocated from the lung into the parietal (and peritoneal) pleura where it remains to induce mesothelioma. Another troubling facet of the biopersistence argument is its progenitor, Dr. Bernstein, himself. In fact, the FCPMA specifically directed the Daily News to Bernstein’s work. Before working for the asbestos industry, Bernstein was a scientist for the tobacco industry, and then later worked for a Brazilian mining company. Between 2006 and 2007, he was paid upwards of US$ 850,000 by the asbestos industry to conduct experiments in Switzerland that coined the ‘biopersistence’ theory. Ruckdeschel filed the subpoena, he said, because “only compulsory process such as these subpoenas remain as a means to obtain disclosure of the involvement of industry and its lawyers in these ‘scientific’ papers.” Dr. Bernstein could not be reached for comment. other polluting factors. But at the same time, environmental factors such as air pollution, radon, crystalline silica, and hexavalent chromium, all make defining diseases as ‘asbestos-related’ more complex. Everyone is exposed to different levels and combinations of such pollutants, and asbestos exposure has a multiplicative effect. In terms of smoking, asbestos has an extremely high potency, meaning that a smoker exposed to asbestos has an extremely high risk of developing lung cancer. Mesothelioma, an incurable disease, is the clearest indication of asbestos exposure. Brodkin called it “a hideous malignancy that ravages people before it kills them.” Mesothelioma has a long latency period, between 20–50 years, which companies may take advantage of to purport the safety of their products. Countries with legacies of asbestos use (including chrysotile) continue to feel the effects in mesothelioma cases every year. Australia, historically the largest consumer of asbestos in the world, stopped marketing asbestos in the 1980s and banned asbestos entirely in 2003. “But our asbestos-related disease numbers grow year after year, because of the legacy of asbestos,” said Tighe. Australia has the second-highest mesothelioma death rate in the world, behind the UK, and the incidence of mesothelioma in Australia is expected to increase over time, reaching a peak of 18,000 deaths annually between 2014 and 2021. The first asbestos factory in Sri Lanka was opened in 1955. Reportedly, there are no known cases of mesothelioma. As of 2011, mesothelioma data was missing for 70 percent of the world’s population. In December 2017, the ban on asbestos roofing materials in Sri Lanka was relaxed. The ban should take effect from 2024, on the basis that such roofing materials are harmful to the environment.